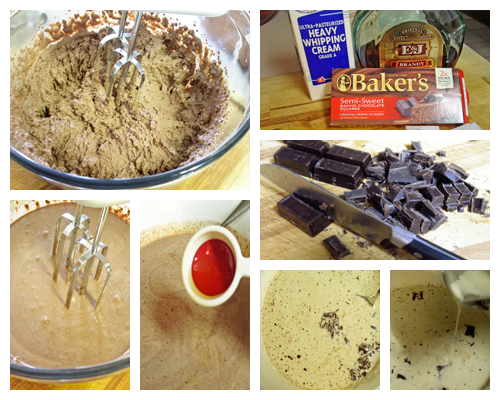 A chocolate Ganache is just chocolate melted and beaten into heavy cream. It’s a magic substance; it can be a glaze, a filling, a coating, a solid truffle it just depends on the ratio of cream to chocolate. I like a ratio of a bit more cream to chocolate for a whipped filling; this ensures that it doesn’t get too hard and difficult to spread. The bittersweet taste of a good chocolate Ganache is refreshing. Ganache is a French term referring to a smooth and velvety mixture of chocolate and cream. Its origin is a little unclear, but it is believed to have been invented around 1850. Some say it originated in Switzerland where it was used as a base for truffles. Others say it was invented in Paris at the Patisserie Siravdin. 1. Put the chocolate in a large, heatproof bow. Heat the cream to boiling and pour over the chocolate. Let it sit for about ten minutes, then add the salt and flavoring, if desired, and stir by hand with a spatula. Refrigerate overnight. 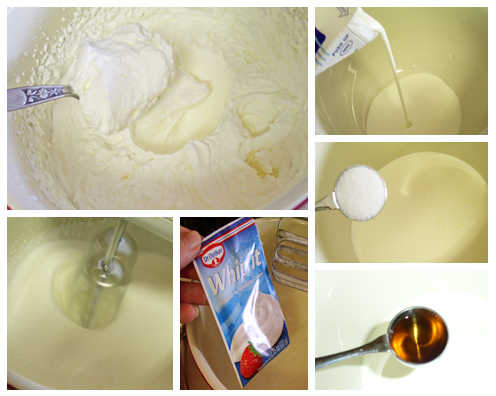 Whip with a stand mixer or beaters until soft, whipped, and slightly lightened in color. Put in the refrigerator until you layer the cake. 2.To make the whipped cream you add 2 cups of heavy cream to a bowl add 1 tbsp of bourbon or brandy, 1 tbsp sugar and 1 bag of whip it of Dr Oetker ( that keeps the whipped cream stiff, it’s a stabilizer). Put in the refgrigerator untill you layer the cake. 3. In a medium bowl stir together flour, baking powder and salt: set aside. 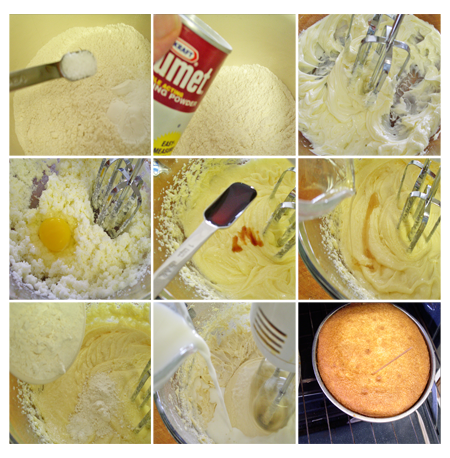 In a large mixing bowl beat butter with an electric mixer on medium to high speed for 30 seconds. Add sugar about 1/4 cup at a time, beating on medium speed until well combined. Beat for 2 minutes more after all sugar is gone. Add eggs 1 at a time beating after each egg for one minute. Beat in vanilla. Alternately add flour mixture and milk and brandy to butter mixture, beating on low speed after each addition just until combined. Bake at 375F oven for 25 min. 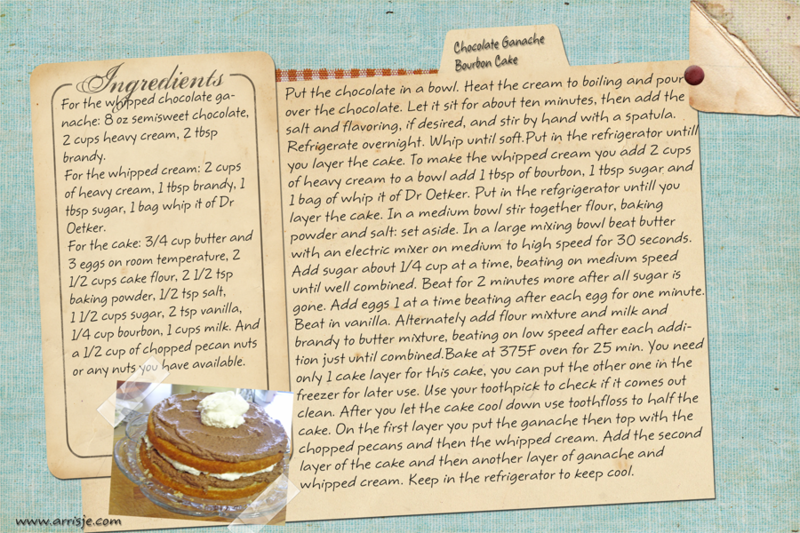 You need only 1 cake layer for this cake, you can put the other one in the freezer for later use. Use a toothpick to check if it comes out clean. 4. After you let the cake cool down use toothfloss to half the cake. 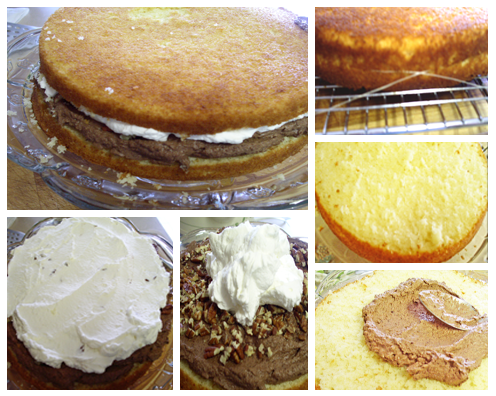 On the first layer you put the ganache, then top with the chopped pecans and then the whipped cream. 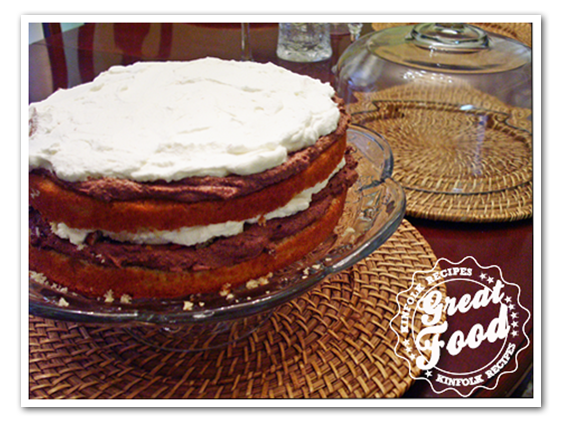 Add the second layer of the cake and then another layer of ganache and whipped cream. Keep in the refrigerator to keep cool.